Some 14 months after taking over as general manager of the Aliante, Terry Downey said the property is seeing positive signs after opening in the heart of the recession and going though an bankruptcy court-administered ownership change. No one has to tell Terry Downey that North Las Vegas has been one tough casino market over the past few years. 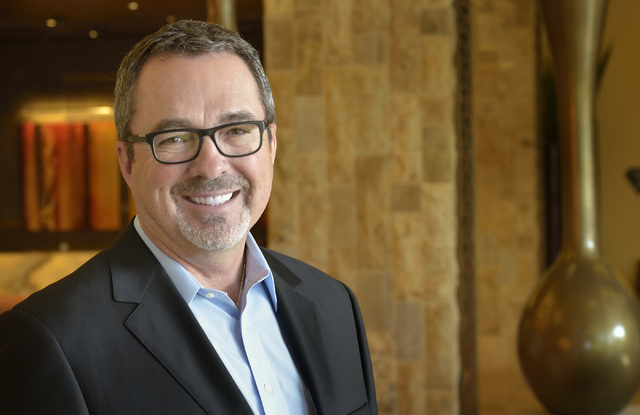 Fourteen months after taking over as general manager of the Aliante, Downey said the property is seeing positive signs after opening in the heart of the recession and going through an Bankruptcy Court-administered ownership change. 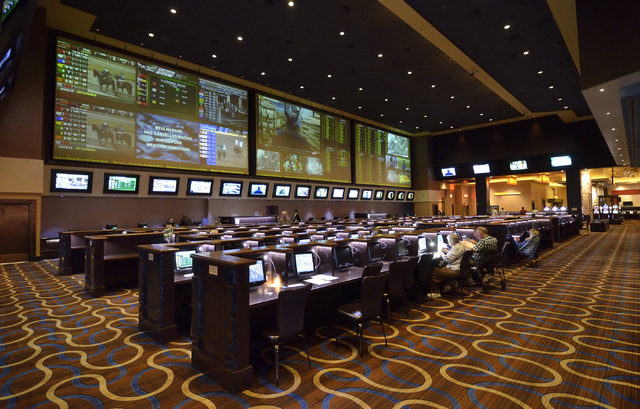 “There is good feeling here among our team members and our guests,” said Downey, 58, who had retired as an executive with Station Casinos before being enticed back into the game by Aliante Gaming, the ownership group’s management company. “We see a good future ahead of us,” Downey said. After spending $2.8 million to refurbish and rebrand portions of the Aliante, including adding a second-floor spa area and opening a 24-hour restaurant last November, Downey said developments outside his realm could give the property another lift. Expansion of the 215 Beltway that connects Aliante with customers in Centennial Hills and portions of North Las Vegas, is expected to be finished in May. Downey said he foresees additional moral support from North Las Vegas, which held Mayor John Lee’s annual State of the City address at Aliante in January. “For some people, it was either the first time they had been here or their first time in quite awhile,” Downey said. But Downey also points to the property’s positive business results in recent months. Aliante has 200 hotel rooms and a 100,000-square-foot casino. In October, Downey said the Aliante’s revenue was up 3 percent over September’s figures. November’s revenue increased 7 percent over October and December grew 14 percent over November. Meanwhile, January’s property revenue was 23 percent above January 2013. Also, the Aliante’s hotel occupancy, which was running at 40 percent when Downey’s team took over, now hovers around 90 percent and often reaches 100 percent on weekends. “We’re an independent resort and we’re able to push the boundaries of creativity to develop an unique experience for our guests,” Downey said. Aliante’s newfound success comes in a tough market. In 2013, North Las Vegas’ 12 casinos combined to produce $259.2 million in gaming revenues, down 5.3 percent from a year earlier. In contrast, North Las Vegas casinos produced $257.7 million in gaming revenue in 2004, four years before Station Casinos opened what was then Aliante Station at a cost of $662 million. Besides the Aliante, the market includes the Cannery and Jerry’s Nugget, which is celebrating its 50th anniversary. Station Casinos operates Texas Station and Fiesta Rancho, which are in North Las Vegas, and the Santa Fe Station, which is in Las Vegas but competes for business with Aliante. North Las Vegas was the epicenter of the recession and home foreclosure crisis. Aliante, which is within the Aliante master-planned community, saw its business become collateral damage. 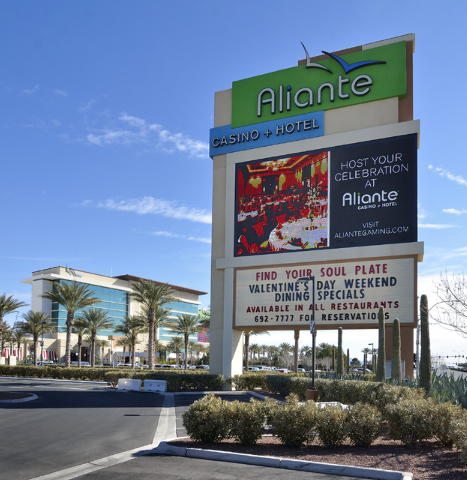 Station Casinos’ bankruptcy reorganization in 2011 ended the company’s ownership of Aliante. The property was handed over to creditors, headed by Standard General Gaming LLC, a New York investment company. Soohyung Kim is the Standard General executive overseeing Aliante Gaming, the company that took over management of the casino on Nov. 1, 2012. Station Casinos spent a year after the bankruptcy running the resort. “It was basically unplug the Station systems and plug in our own,” Downey said. But there were other challenges. All the Station branding had to be removed, including taking the name off the property. Restaurants were renamed. New menus were developed. And Downey’s team had one meeting with employees before the management change. Over the first year, 200 employees were hired, giving Aliante 860 workers. The initial challenge was keeping customers, many of whom were loyal to the Station Casinos brand. The database consisted of a flash drive with names and addresses. Downey said casino managers spent months trying to restore customers’ player loyalty points to the new system. 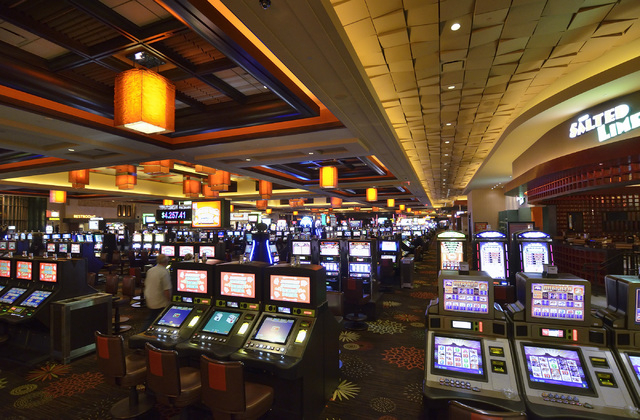 Meanwhile, the Aliante’s 1,800 slot machines were updated, and new games were acquired. A bingo room was added. The capital improvement budget included the spa build-out, new mattresses and refrigerators in the hotel rooms along with completely relighting the parking garage with high-output energy-efficient lighting. In November, Aliante opened The Farm 24/7, a 24-hour restaurant which the property had been lacking for several years. One of the restaurant’s key aspects is that it uses produce grown in nearby Cowboy Farms and Gilcrease Orchards. Two other nearby farms are waiting for certification. Downey said Aliante is building a green room in front of MRKT Sea and Land that will supply greens and herbs for use in that restaurant. “It’s unique but that’s something an independent property can do,” Downey said.